Home > Resources > Recover Android > How to Recover Deleted Music on Android Phone/Tablet? Ever lost your favorite music files on your Android device by mistakenly pressing the delete, format or factory reset button? What makes you upset is that you haven't backed up all your particular folder in the system. So, how to get the lost Android songs back? In fact, as long as your deleted music files haven't been updated by new coming files, it is still a big chance to restore the lost, deleted and formatted music from your Android device. It is lucky that we have the Coolmuster Lab.Fone for Android to deal with the matter now. 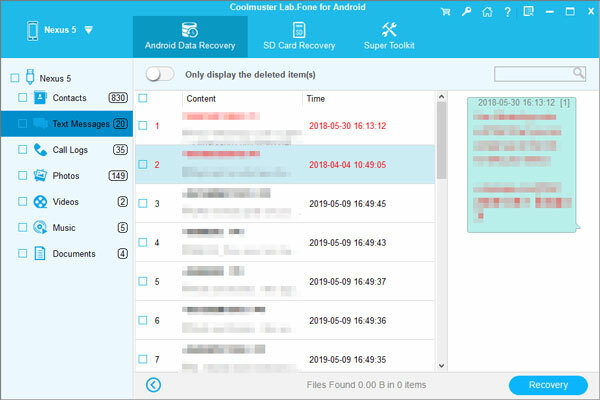 It is an easy-to-use yet professional Android Data Recovery program that aims to recover the deleted and lost Android data, including music, photos, videos, contacts and text messages. With its help, all lost audio files in your Android device can be scanned out and you are able to get them back with original quality and lossless data. 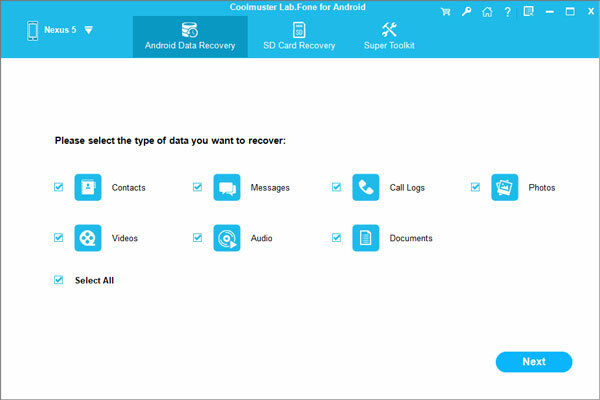 Below is the introduction about how to recover deleted music from Android with Lab.Fone for Android. Please try to download the trial version of the software and follow the tutorial. On the left column, all the types of deleted files are listed. Just choose the folder named "Android UMS..." to find the music files you have deleted. All the deleted music files will be shown on the right window. Select the music files you want to recover and then click the "Recover" button from the top line, choose a location on your computer and save the recovered Android music files on the location automatically.